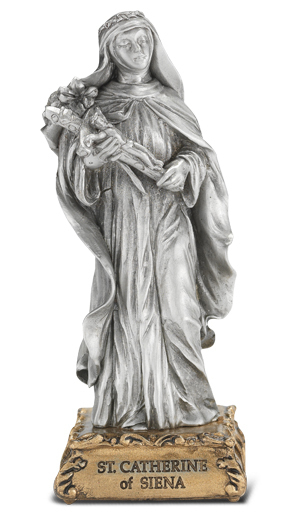 St. Catherine of Siena Pewter Statue on Base 4.5"
4 1/2" St. Catherine of Siena Fine Pewter Statue on a gold tone base. Made in the USA by skilled New England Craftsmen. (Gift Boxed).